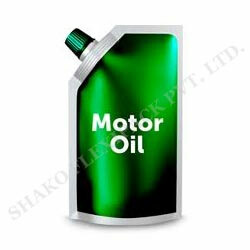 Our company is profoundly engaged in developing supreme quality Standup Pouches that are extensively used in automobile industry, food industry, cosmetic industry, chemical industry etc. 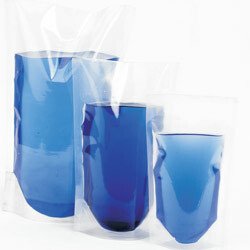 These are made from supreme material and offers fantastic replacement for rigid packaging. The pouches are cost effective option as these are safer to carry and store. These are available from 50g to 10kg sizes as per the specification of our clients. These pouches have high MVTR and WVTR with up to 8 colors high definition rotogravure printing options. 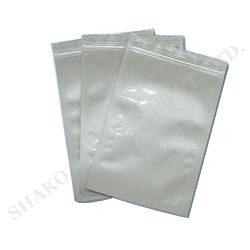 Our company can also provide sample pouches if required by our customers, which are available in clear, plain solid and with kraft and one sided clear. Our company is engaged in developing supreme quality Standup Pouches with Spout, which gives easy opening and closing option and keeps the pouches leakage free. 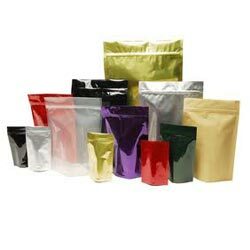 We have mastered the designing of standup pouches with spout as we use finest raw material which gives shiny look. These are offered in several sizes, designs and colors as in accordance to our client's requirement. Barrier Foil Pouches are constructed using 3-ply, adhesive laminated material with aluminum foil option. Here, the use of aluminum foil helps in providing high oxygen as well as moisture barrier properties with layer of Polyester (PET) providing superior abrasion, tear and puncture resistance for package as well as protection from scuffing for ink systems that are reverse printed on it. Other than this, the presence of Linear Low Density Polyethylene (LLDPE) also helps in providing in the packaging high strength, and heat-sealing properties. Our company is offering finest range of Stand up Pouches with Zip that makes the usage more user friendly and leakage free. 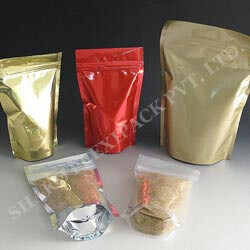 These pouches are preferred in food packing industry, chemical industry, sanitary industry, cosmetic industry etc. We also provide samples to our clients as per the request. The standup pouches with zip are widely preferred for being cost effective and safe. Our company is engaged in designing finest range of Stock Standup Pouches, which is widely used for packing ready to eat food. These pouches are highly hygienic and safe for carrying products, such as Gulab Jamun powder, powdered ginger, rice, corn and other similar eatables.